Rising Stars is OPEN tonight for all classes (Friday, 3/1/19). Lily T. earned 3 medals, placing 2nd on beam with a score of 9.15! She also placed 6th on floor with a score of 9.1 and on bars with a score of 9.05! She earned an all-around score of 35.8! Katelyn M. earned 4 medals, placing 2nd on floor with a score of 9.275! She also placed 5th on vault with a score of 9.25 and placed 6th on bars with a score of 8.8! She earned and all-around score of 35.725, placing 5th overall! Angela T. earned a medal vault, placing 6th with a score of 9.175! She earned an all-around score of 34.2! Anna M. earned a medal on floor, placing 6th with a score of 8.95! She earned an all-around score of 32.2! Sophie M. earned 5 medals, placing 2nd on floor with a score of 9.525. She placed 3rd on beam with a score of 9.375 and 3rd on vault with a score of 8.9. She placed 4th on bars with a score of 9.1! She earned an all-around score of 36.9, placing 4th in her age division. Hannah W. earned 2 medals, placing 6th on beam with a score of 9.25 and 7th on bars with a score of 8.825! She earned an all-around score of 35.85! Breanna J. earned 3 medals, placing 2nd on beam with a score of 9.4! She also placed 6th on floor with a score of 9.3 and she placed 7th on vault with a score of 8.775! She earned an all-around score of 35.725! Maddie S. earned 3 medals, placing 4th on floor with a score of 9.375! She also placed 5th on vault with a score of 9.0 and placed 6th on beam with a score of 8.775! She earned an all-around score of 34.7! Madeline H. earned her highest score of the meet on floor with a 9.1! She earned an all-around score of 34.425! Miranda B. earned 2 medals, placing 6th on floor with a score of 9.25 and on vault with a score of 8.9! Chloe S. earned 2 medals, winning 1st place on vault with a score of 9.275 and placing 4th on floor with a score of 9.3! She earned an all-around score of 34.075! 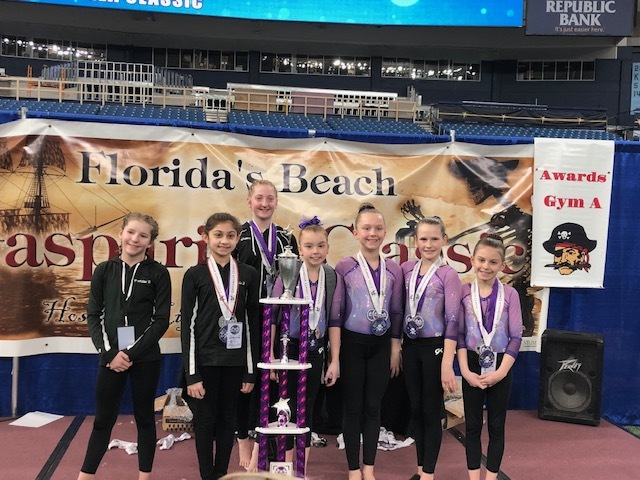 Level 7 – 1st Place Win! Rising Stars Gymnastics will be OPEN for classes today (Saturday, February 23rd)! 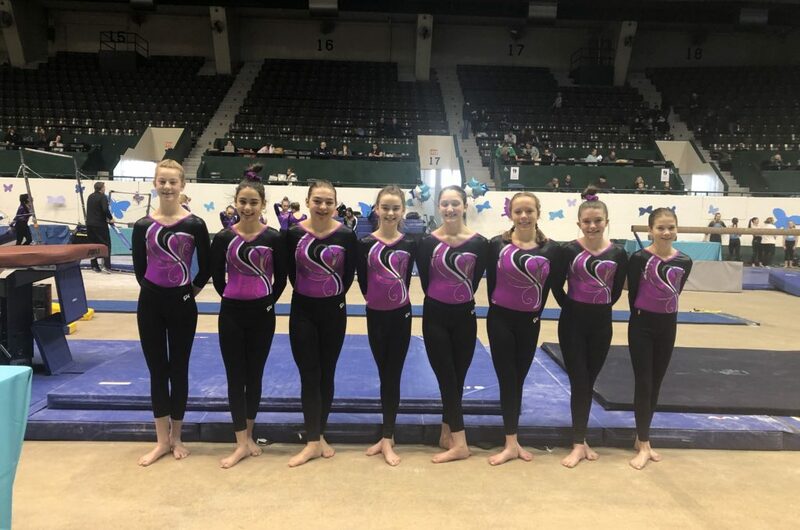 Congratulations to the Xcel Platinum gymnasts that competed this past weekend at the Gina Morri Meet. All of the girls on the Platinum and Diamond gymnast have qualified themselves for state in March! Congratulations to both Bella G. and Jordan K. on top five all-around wins from the Platinum team. Congrats to the Diamond team on taking home 3rd place win! We are excited to have a small break while we get ready for our hosted meet on March 9th. Hope to see you all there! 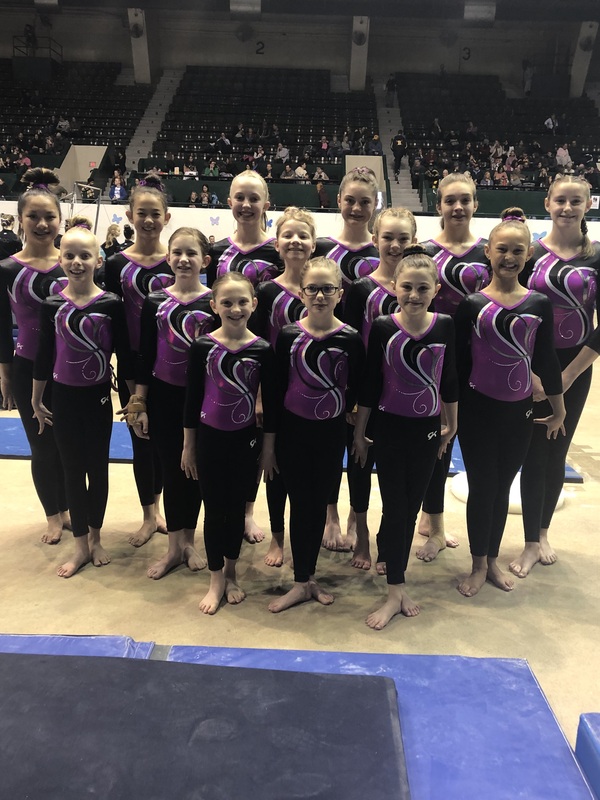 Congratulations to all of the Xcel Gold level girls that competed in the Gina Morri Meet this past weekend on February 17th. Congrats to both Katie B. and Katie S. on 36.0 all-arounds! Also congrats to Sophia L. on her first 9.0 of the season! Way to get it ladies. All of the girls did great, keep up the good work! Way to keep the season going strong! We look forward to the next meet of the season, Rising Stars Invite, March 9th! 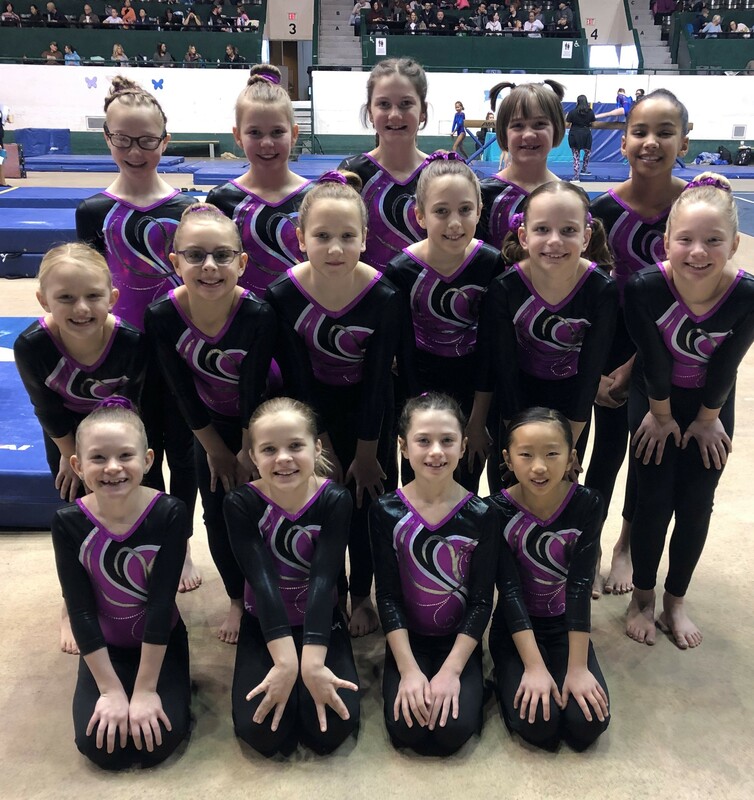 Congratulations to the Xcel Silver level gymnasts that competed at the Gina Morri Meet on February 17th on a first place win! Most of the girls that competed were able to qualify themselves for the State meet in March. They had tons of high scores in the meet. Congratulations to Kaleigh S., Piper F., and Claire D. on taking one, two, and three in all-around from the 9 and under age division. 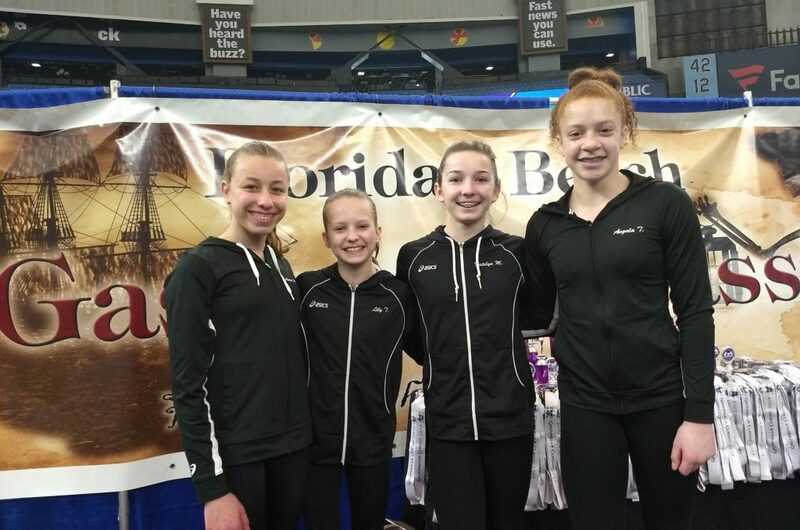 Also congrats to Aliana B., Rylann B., Avery k., and Leah V. on top 5 all-around wins! A huge congrats to the whole Silver team for getting their highest team score to date!